Art is our main dental assistant and Dr. Mike’s right hand man when it comes to taking care of treatment related matters. 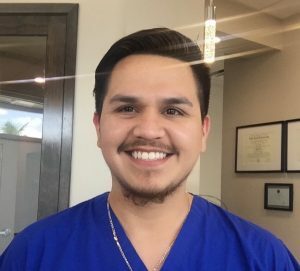 He was born and raised in Houston, and has been in the dental field for 4 years. He is caring and outgoing and will make you feel at ease when he greets you at the door. Art makes sure that you’re comfortable, and he can address most questions that you may have about your time at Morton Ranch Dental. He also puede hablar Español! Art looks forward to helping you with your needs at Morton Ranch Dental!